Christmas is not far away, and fun and festivity have begun. This set includes 3 caps each of the same size. These Christmas caps can be an ideal theme for your Christmas party. We offer a wide variety of Santa Caps in different sizes to match the varied choices of individuals. Fabricated from quality raw materials, these are light in weight, attractive and can be availed at industry leading prices. We also offer customization to our entire range. 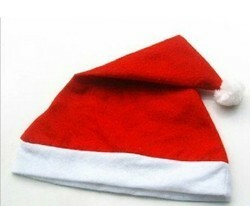 High quality santa cap available in all sizes and different fabrics. We have gained a remarkable position in the market that is involved in the offering Fancy Christmas Cap. We offer our clients an exclusive range of Santa Hat. We are one of the most reliable companies in this domain and are into offering Christmas Party Cap. 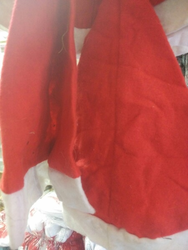 Matching up with the requirements of our clients, we are involved in offering Santa Claus Cap. Led Chritsmas santa cap. It had 5 ped lights on the front. Quality is very good, Ideal for corporate Christmas celebration.